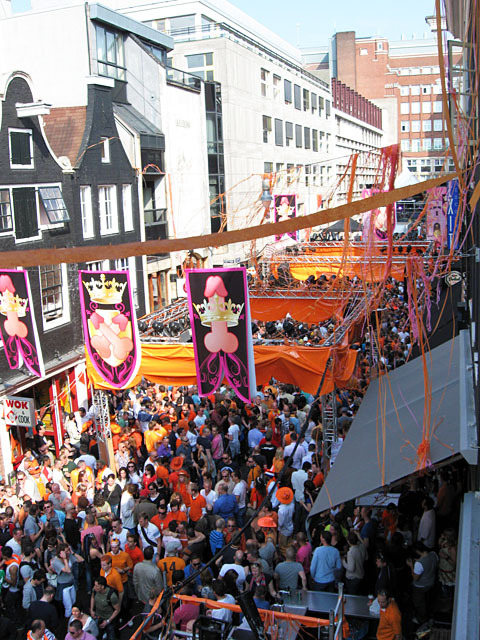 Reguliersdwarsstraat is the most famous gay street of Amsterdam. The forerunner of this was lunchroom Downtown, where gays had not hidden themselves behind blinded windows and doors already since 1970. 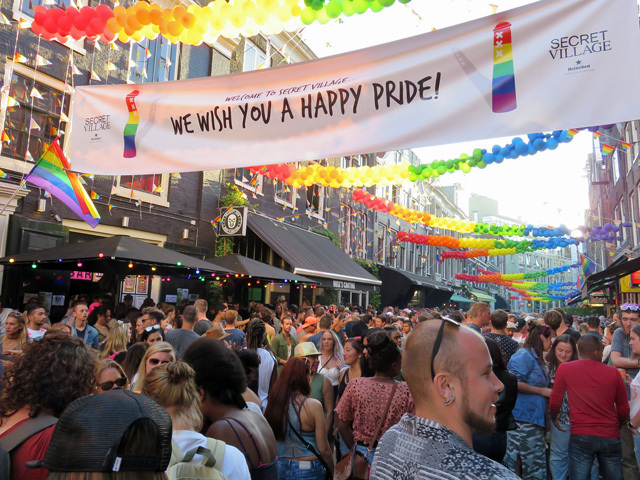 The big breakthrough came when from 1980 onwards, Downtown and April organized high-profile parties in which gay and straight people went together seamlessly and which made Reguliersdwarsstraat the hippest nightlife area of the city. The most famous venues of the street were café April (1981-2010) and dancing Havana (1989-2002), both opened by Frans Monsma. They attracted visitors from home and abroad and still many people think back to them with melancholy. Later these places were taken over by bar tycoon Sjoerd Kooistra, who also opened gay disco Exit (1988-2010) and the Exit Café, as well as café-pub Soho. Finally, he also bought cocktailbar ARC (2002-2010). The Amsterdam Gay Pride, with its famous boat parade, was set up in 1996 by a group of people from Havana, not as a protest or demonstration, but to celebrate the freedom and diversity of the city. 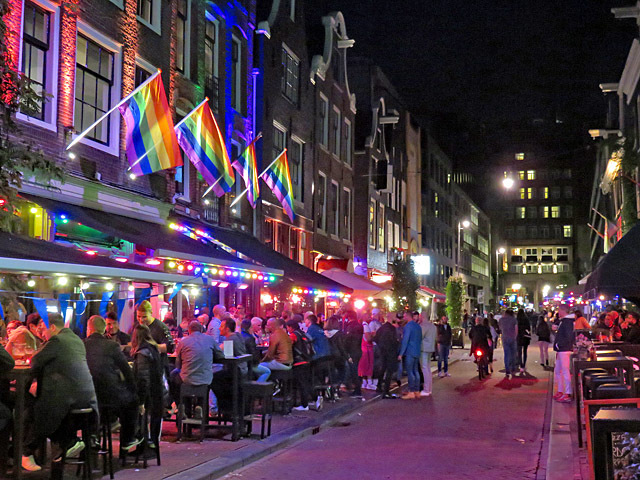 Nowadays, Reguliersdwarsstraat has about as many gay venues again as before 2010, when the business empire of late Mr. Kooistra collapsed and all his bars had to close. In addition to the famous lunchroom Downtown, there's the classic café-club Soho, the late night Exit Café, the hip openminded club NYX, and the popular Taboo Bar with neighboring Taboo Kantine as the latest addition. 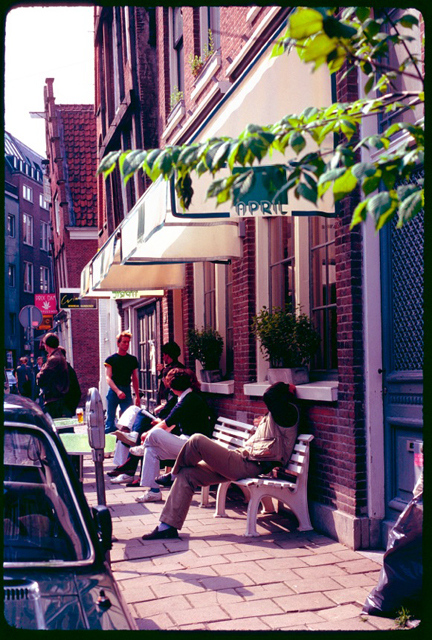 In the eastern part of the street, between Vijzelstraat and Rembrandtplein, there are the mixed café 't Dwarsliggertje and the Caribbean gay bar Reality. Besides the nightlife venues there are also a few gay-friendly coffeeshops, a number of gay lifestyle shops and hairdressers as well as a series of restaurants where gays traditionally like to come. 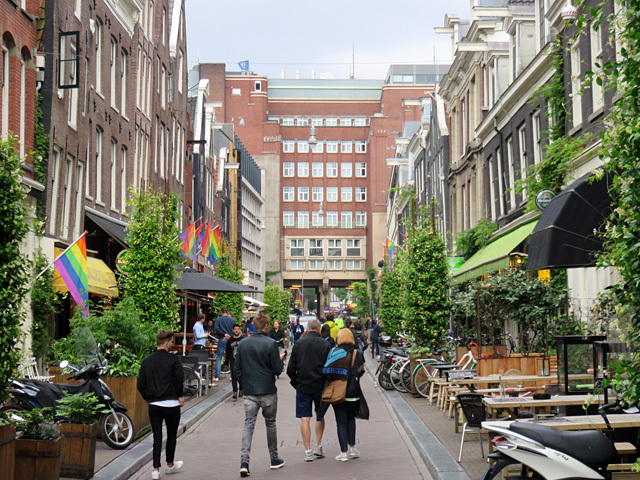 With this concentration of gay-oriented businesses, Reguliersdwarsstraat can rightly be called the Gay Village of Amsterdam, comparable to the gay neighborhoods of major cities elsewhere in the world. The village character also speaks from the seclusion by the surrounding buildings and the pedestrian area and is further enhanced by the planting that was introduced in 2016, when the western part of the street was renamed to Secret Village.